Home > Attend > Christmas Tours @Historic Trinity. 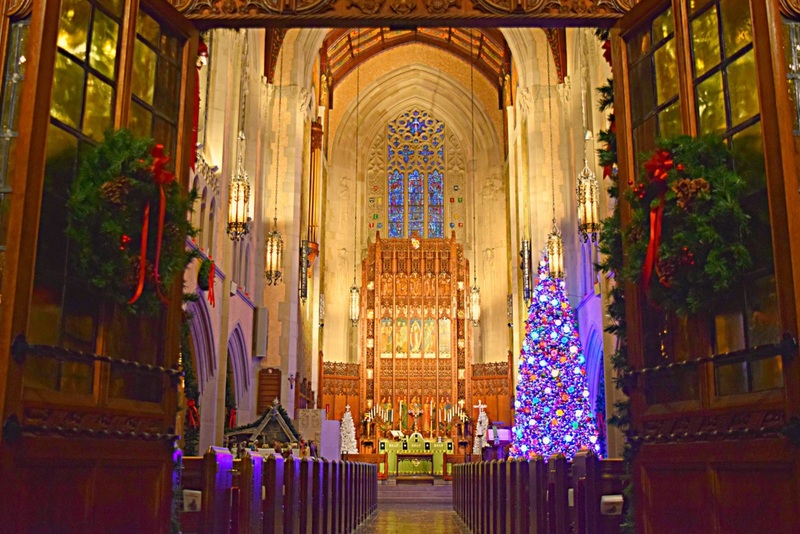 Now is the time to book your group’s Christmas tour at Historic Trinity. In 2017, we hosted 38 guided tours. During the week of Dec 3-10 alone, we had 3,400 people join us for worship, Christmas concerts, tours, Open House, and our Christmas Market. This is the place to be for Christmas in the city. 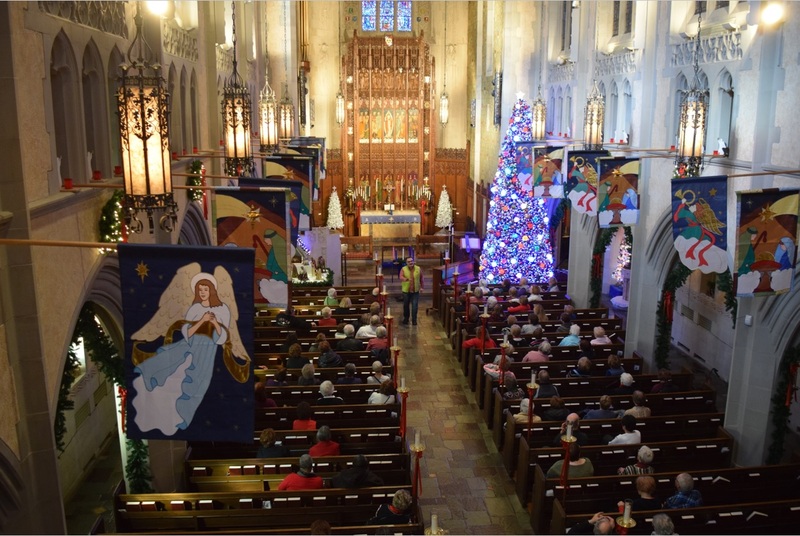 40 Christmas trees, including our magnificent 22′ sanctuary tree with 18,185 lights. 350 nativities from all over the world, including our glorious sanctuary nativity from 1888, and our historic Dau Library/Nutcracker Central. Garland, bows, wreaths, and a Christmas forest await your arrival. Tours are free of charge (free will donations are gladly accepted). Your group can also book a catered lunch from Choice Catering, our in-house service. Menus are full, flexible, fantastic, and fairly priced. Tour season runs from November 19- December 21, and fills up fast. For more information, contact Tammy Eberhard @ 313-567-3100 or tammy@historictrinity.org.